I almost never find anything for a Street Parked post. 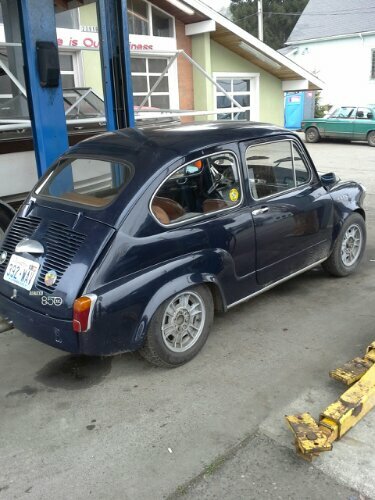 Yet, here I am on Vashon Island, and I stumble on this Fiat 850 Abarth at a gas station! It was just tucked over on the side of the road, so I pulled a quick U-Turn to grab some pictures. I’m sure that Bret will know way more about this Fiat than me, but I just love the classic design. It was a sweet find on a quick little day trip. This entry was posted in Street Parked and tagged 850, Abarth, Fiat, Street Parked. Bookmark the permalink. Great find! 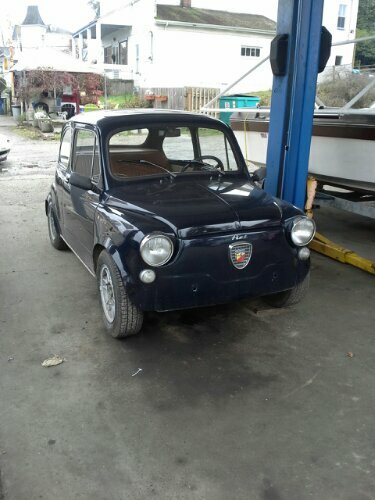 It’s my 500 Abarth’s grandfather.